Welcome to the Northern California Tsunami Science Website. We are developing a science plan for response to tsunami events in northern California. Our group self formed following a Redwood Coast Tsunami Working Group meeting. This site has a public arena and a password protected area. Materials that are “works in progress” are in the password area. Once products are reviewed and ready for “prime time,” they will migrate to the public arena. Our Mission: Develop field teams and data collection protocols so we can make direct observations of the extent of impact of tsunamis and earthquakes. Please read this recruitment invitation to participate in the 2014 Cascadia Exercise on 5/14/14. Sign up for our email list so you can get notifications. We are holding a planning meeting on FRI 5.9.14 from 9-11 AM. More material about that planning meeting is here. 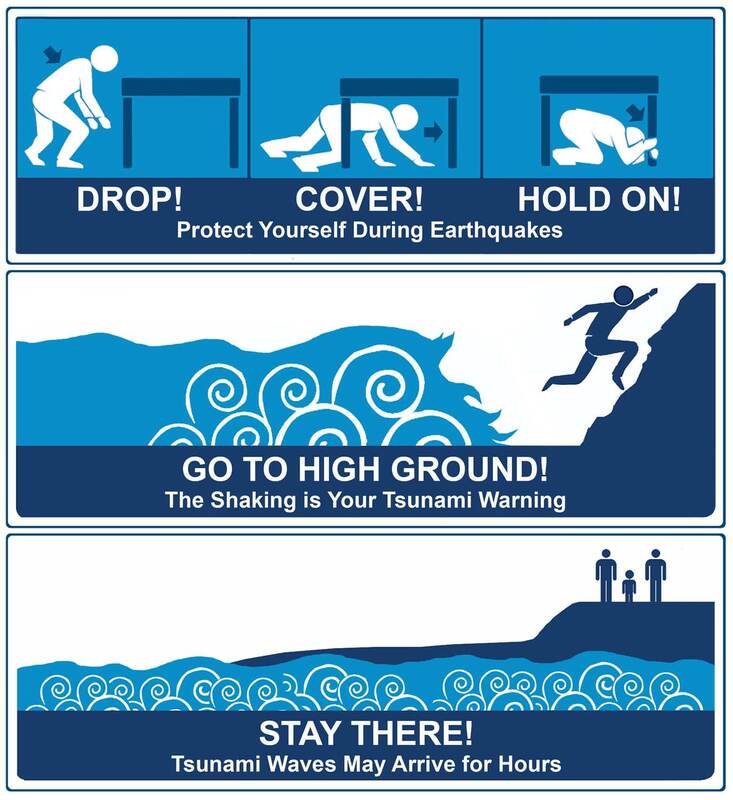 Artwork provided by the Tsunami Zone.